When children come into foster care, they may be escaping neglect and/or abuse, but that escape also results in loss for them — loss of family, friends and anything that was familiar to them. While their hearts and minds are still reeling from all of that loss, they often have to face one more loss and this one is often the one from which they don’t recover — the loss of their siblings. Joined In Heart is a way to provide options for sibling groups in a sheltering environment. Children rarely come into foster care alone… by the time a family’s crisis is recognized, there are usually three, four or more children in the home. Few foster homes are able to take in more than one or two children at a time, so these sibling groups are often split up. The children not only lose contact with brothers and sisters who have supported each other in crisis, they also feel that the split may be their fault. So keeping these children connected is critical to their emotional well-being. Joined In Heart is a program for helping church congregations to recruit foster families in their membership and to encourage those families as they care for the siblings they take in. There are many ways for a congregation to help these families as they help the children. We can help those congregations create a multi-layer cushion of care that will make a real difference in children’s lives. 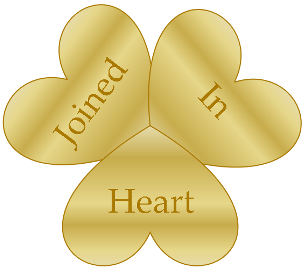 And a network can be created for congregations in Joined In Heart so they can share resources and ideas. Contact us today and we’ll come explain how your congregation can get involved.